My cousin made this recipe for Thanksgiving and it was delicous. I never order coconut shrimp out at a restaurant for fear that it’s loaded with calories, so when I saw this was made from scratch I was ecstatic. So easy, and delicious. Enjoy! Combine coconut flakes, panko crumbs and salt in a bowl. Place the flour on a small dish. Whisk egg in another bowl. Lightly season shrimp with salt. 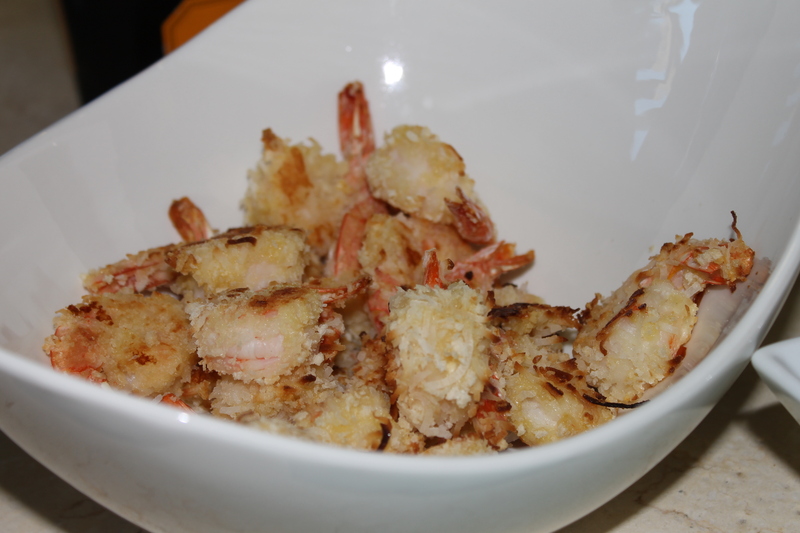 Dip the shrimp in the flour, shaking off excess, then into the egg, then in the coconut crumb mixture. I LOVE coconut shrimp! And I, too fear the calorie content 😛 Definitely gonna try this out!